The recent major world events, the nuclear deal with Iran, the war in Yemen, and Donald Trump becoming the president in the United States (US), have had far-reaching consequences in international politics. They have created new perceived threats and opportunities that have resulted in changing foreign policy orientations of a number of states. These events have touched the Persian Gulf countries closely, which have reoriented their foreign policy to answer the perceived competition and threat posed by the rise of Iran and the possible opportunities provided by the Trump presidency. They have resulted in a deepening alliance between the Gulf Cooperating Council states led by Saudi Arabia, which has been forged together by the opposition to Iran and the Houthi Shia rebels controlling a large part of Yemen. Seeking to cement wide support for itself and the Saudi-led coalition, the United Arab Emirates (UAE) has arisen as an important behind the scenes actor. Hoping to attract American support, it has recently engineered a rift with Qatar which has been seconded by Saudi Arabia. 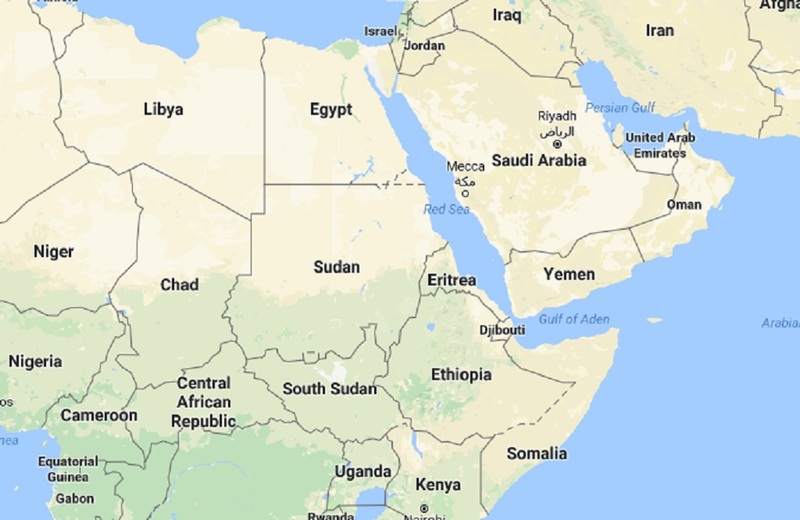 These states have spearheaded the Gulf countries’ increasing influence in the strategically important coastal Horn of Africa that they have used to support their military operations in Yemen. In this situation, Eritrean and Sudanese governments have found an opportunity to strengthen their wavering regimes while Somaliland has also sought to capitalize on its strategic geopolitical position. When the UAE’s earlier courting of Djibouti in 2015 failed largely due to the latter’s strong alliance with Ethiopia, which sees growing Arab influence in the sub-region as a threat to its dominant position, the Sudanese and Eritrean governments saw an opportunity to gain much-needed external resources by reaffirming alliances with the Gulf States. Both appear to have calculated that continued alliance with Iran was no longer materially and diplomatically viable under increasing pressure from the Gulf countries and less beneficial than what could be gained by reaffirming ties with the latter. At the same time Somaliland, which already has strong economic ties with the Arabian Peninsula, has sought to deepen its relationship with the Arab States while simultaneously seeking to maintain its strong relations with Ethiopia. From 2015 onwards, it has become increasingly clear that Sudan and Eritrea have gained significant financial and other material resources, including currency and investments in infrastructure and development projects, from the Gulf States in exchange for providing bases and support for the Saudi-led coalition’s war effort in Yemen. This February the UAE also announced that it would build a military base in Somaliland’s Berbera where it had previously secured an agreement to upgrade the port. While China, another important player in the sub-region, has already made its play in favor of Djibouti (and Ethiopia), along with the US and a number of other Western states, this development can be geo-strategically somewhat uncomfortable for Ethiopia which now potentially has the influence of Arab states encroaching from Eritrea, Sudan, and Somaliland. That said, however, Ethiopia has potent allies and continues to maintain significant influence in Somaliland (and Somalia). It is likely to continue to use the Port of Berbera as an import hub despite UAE’s presence in order to supplement its strategically important access to the Red Sea through the Port of Djibouti. For Somaliland, on the other hand, the collaboration with the UAE will bring resources and recognition that can be useful for promoting economic opportunities, maintaining stability, and strengthening its case of a relatively well-functioning state seeking de jure independence from Somalia. Research Fellow at CEI-IUL. Current work: FCT funded postdoctoral research project, “The ‘Domino Effect’ of Secessions in the Horn of Africa: Exploring Secessionism in Post-Partition Ethiopia and Sudan”.